...the Flood Warning Extended Until Further Notice...the Flood Warning Continues For The Black Cypress Bayou At Jefferson, Texas. * Until Further Notice...or Until The Warning Is Cancelled. * At 6:00 Am Thursday The Stage Was 13.7 Feet. * Minor Flooding Is Occurring And Minor Flooding Is Forecast. ...Read More. The Flood Warning Continues For The Neches River Near Neches, Texas. * Until Further Notice...or Until The Warning Is Cancelled. * At 5:30 Am Thursday The Stage Was 14.5 Feet. * Minor Flooding Is Occurring And Minor Flooding Is Forecast. * Flood Stage Is 12 Feet. ...Read More. The Flood Warning Continues For The Neches River Near Alto, Texas. * Until Further Notice...or Until The Warning Is Cancelled. * At 6:15 Am Thursday The Stage Was 17.0 Feet. * Minor Flooding Is Occurring And Minor Flooding Is Forecast. * Flood Stage Is 16 Feet. ...Read More. The Flood Warning Continues For The Neches River Near Diboll, Texas. * Until Further Notice...or Until The Warning Is Cancelled. * At 6:15 Am Thursday The Stage Was 12.7 Feet. * Minor Flooding Is Occurring And Minor Flooding Is Forecast. * Flood Stage Is 12 Feet. ...Read More. The National Weather Service In Shreveport Has Issued A * Flood Warning For The White Oak Creek Near Talco, Texas. * From This Afternoon Until Further Notice...or Until The Warning Is Cancelled. * At 5:15 Am Thursday The Stage Was 11.4 Feet. ...Read More. The National Weather Service In Shreveport Has Issued A * Flood Warning For The Rabbit Creek At Kilgore, Texas. * Until Saturday Evening...or Until The Warning Is Cancelled. * At 4:45 Am Thursday The Stage Was 12.7 Feet. * Minor Flooding Is Occurring And Minor Flooding Is Forecast. ...Read More. ...the Flood Warning Continues For The Following Areas In Texas... Trinity River Near Long Lake (oakwood) Affecting Anderson... Freestone And Leon Counties The Flood Warning Continues For The Trinity River Near Long Lake (oakwood). * At 0430 Am Thursday The Stage Was 31.60 Feet. ...Read More. 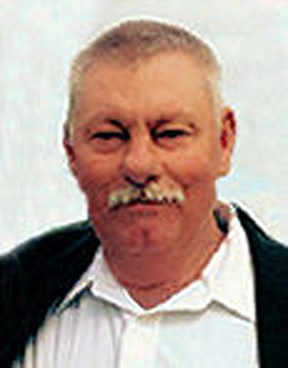 Home Obituary Billy Westbrook Jr.
Billy Westbrook, Jr., age 57, of Kennard passed away Friday, December 16, 2016 at his residence.